If there is a continent that is so rich in various animal species, it is Africa. African animals are so diverse in physical characteristics, attitude, instincts and behaviour in general. A lot has been discovered and documented about the African animals but there are still quite a number of weird facts about these animals found in Africa that are not widely known. Some of their characteristics are governed and exhibited as a result of inherent instincts, some by bizarre survival strategies while some other traits are just part of the entire animalistic behaviour attributed to each species that makes it unique. This article explores some of these innate but weird qualities possessed by these African animals. The African elephants are the largest of elephants on the planet and they are usually found in Kenya and South Africa. Apart from having quite a long nose, it has a very powerful sense of smell that is capable of smelling water 3 miles away. Each flapping ear weighs up to 110 pounds (50 kg) and the female elephants are known to reproduce every 4 years from the time they are 12 years old. However, the calving spacing increases to 5 years from when she is 52 and 6 years when the elephant is 60 years old if there is a need for more offspring. Otherwise, in elephant crowded areas, reproduction can be suspended for as long as 13 years. Despite having 4 legs, the elephant is the only mammal that cannot jump. Cheetahs are not known to roar but rather make a chirping sound that is very similar to the yelping of a dog and the chirping of birds among other sounds. This sound is so intense that it can be heard up to a mile away. Apart from being the fastest land animals that can achieve blazing speeds of up to 113 km/hr accelerating from 0 to 100 km/h in just 3 seconds, these African animals are also the only animals from the big cat family that can turn in mid-air while sprinting and are able to retract their claws. Anteaters are one group of African animals whose name does not depict what it does. Anteaters, in reality, prefer to eat termites and not ants, hence, there may be the need for a change of name in the future. Ostriches are the world’s heaviest and largest bird. They are found to inhabit only the central and southern parts of Africa. The male ostriches weigh up to 350 pounds. These flightless African animals are among the fastest bipedal animals, a feat aided by their very long legs that are also used for attack when frightened and a single kick could be fatal to a lion. When it comes to reproduction and recognition, a female ostrich shows a very remarkable ability to recognize her own eggs even after they are mixed with those of other ostriches from the same communal environment and talking about eggs, 1 ostrich egg is equivalent to 24 chicken eggs and takes about 2 hours to boil. These African animals have made a lasting history as the largest egg laid by any living bird is that of the North African Ostrich. The egg measures 6 to 8 inches in length and 4 to 6 inches in diameter. It is a fact that the ostrich does not stick its head in the sand when scared or in search of water as supported by an 8 year that used about 200,000 ostriches which suggested no incident of an ostrich sticking its head in sand. The sitatunga, are species of African antelope that are very skilled in swimming and capable of sleeping underwater for camouflage. They give birth to their young on a dry, trampled mat in the swamp, where they lie in concealment for as long as a month, with only short suckling visits from their mother when they return from foraging . This animal is probably the most numerous primates among animals of Africa. They usually feed at night and rather sleep during the day; hunting by speed rather than stealth and are quite fond of their urine which they use to leave their scents on trees and mark their territories which they follow night after night. The males also find it “pleasurable” to urinate on the females – to mark them of course. 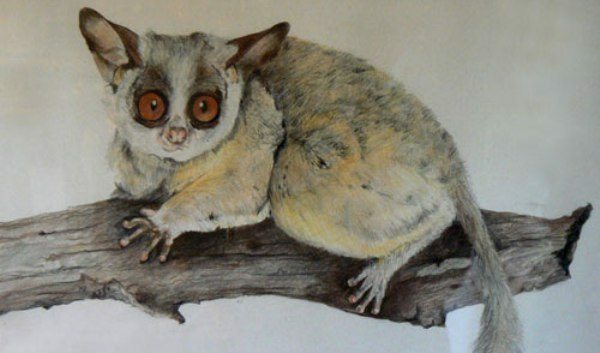 Galagos are a group of animals of Africa that usually produce offspring that are twins. Among the animals of Africa, the African hippopotamus is the most deadly to humans and kill more people every year than any other African animal. They are known to have been indulging in water birth and belong to the few animals that give birth underwater long before humans conceived the idea. The spend a significant length of their life in water and though they are too heavy to swim, they typically navigate through by walking on the river bed. If you are looking to utilize their size and sluggish physical attribute to get close, think again because they can outrun humans, clocking speeds of 30 miles per hour and their powerful bites can divide a crocodile in half. African animals that belong to the big cat family, especially lions and tigers, are known to get affected by Catnip as other domestic cats. Catnip is the common name for a herb from the mint family. When given to the right cat, it can cause a strange and amazing reaction which often includes the cat rubbing it, licking it, eating it, kicking, rolling and going nuts over it. Consider it as the cat having a fix of an ecstatic drug. Eventually, the cat loses interest and decides to walk but to come back 2 hours late for the same effects. Giraffes are animals that are naturally found in Africa of which the tongue averages between 18 and 21 inches long, making it able to use it to clean out its ear. These African animals love eating acacia leaves where they typically get most of their water from however, they can drink up to 10 gallons of water each day. If you run a giraffe for long, it will suffer a heart attack and die due to their high blood pressure which averages 280/180 mm Hg at rest. They are capable of resting while standing and can only sleep 5 minutes at a time. Chimpanzees are the closest relatives to humans and have more than 98% of the same genetic print as humans. They can learn to recognize themselves in the mirror and be taught to use some basic human sign language. They can also use stones to break open tasty nuts and utilize leaves as sponges to soak up water. Chimpanzees can even use large sticks and branches as missiles and clubs or throw them at enemies like leopards and humans.